Trisomy 18 is a chromosome disorder due to the presence of an extra #18 chromosome. It occurs in approximately 1 in 3,000 to 5,000 live born infants. Major effects of Trisomy 18 include a predisposition to birth defects, increased infant mortality, and a developmental disability in older infants and children. 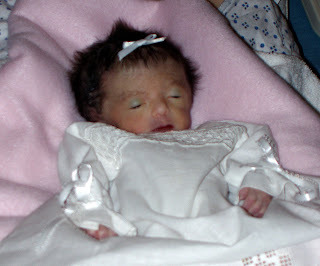 Those born with Trisomy 18 usually have small size at birth and various birth defects. The most common and serious birth defect is congenital heart malformation. Approximately 50% of live births with Trisomy 18 will survive beyond the first week of life. Less than 5% survive to their first birthday. The increased occurrence of infant mortality is related to a combination of factors but most importantly central apnea, where the brain does not give the message to breathe. Other complicating factors include difficulty feeding and under development of the lungs. Those children that survive beyond a year face a variety of challenges such as growth and development delays in addition to the aforementioned items. Trisomy 18 is frequently identified prior to birth through ultrasounds and/or an amniocentesis for chromosome testing. It is the second most common chromosome disorder, after Trisomy 21 (also known as Down Syndrome). Unlike Down Syndrome, Trisomy 18 is medically considered “incompatible with life”. While the mortal outlook for children with Trisomy 18 is generally short, Marinda and I are thankful for the gospel of Jesus Christ and particularly eternal families. We testify that through Heavenly Father’s plan of happiness, we will be reunited with our daughters Amelia and Hope after this life.